Have you ever wished for beautiful straight teeth but were reluctant to get metal braces? Metal braces are harsh, often cutting or scarring your gums or the inside of your mouth. Metal braces are, let’s face, kind of unattractive. And they hurt when they are tightened. Lots of reasons why getting your teeth straightened may not be as easy as you thought. Until now. Corry Dental offers Invisalign clear braces, and they might just change your mind about getting a brand new, straight smile! 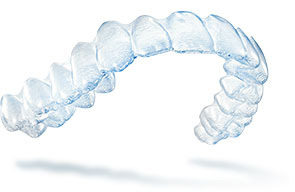 Invisalign clear braces are an amazing system that use invisible braces. Invisalign clear braces are made of clear plastic trays that are sized to gradually straighten your teeth. You get a new set of trays every two weeks. This means that as you are getting straighter teeth, you can smile whenever you want. Invisalign clear braces are invisible braces. This means that you can wear them all the time and nobody will see them. Metal braces are anything but invisible braces! Invisalign clear braces are made of plastic and have no wires and brackets. This means they can not cut and scar your gums or the inside of your mouth. Invisalign clear braces are easy to care for and make your regular dental care much easier, too. You wear the Invisalign clear braces all the time, except when you eat or drink and when you brush and floss. Then you simply take them out. Eating and brushing and flossing with traditional metal braces is really difficult and often, metal braces wearers have said they never felt like their teeth were really clean. Because you get the invisible braces trays every two weeks, you have a gradual straightening process. With traditional metal braces, you get your wires tightened and it is a jarring, often rather painful process. The dentist will give you several sets of trays at a time. This means fewer office visits for you, which saves you valuable time. If you are ready to have a beautiful smile with invisible braces, call today!